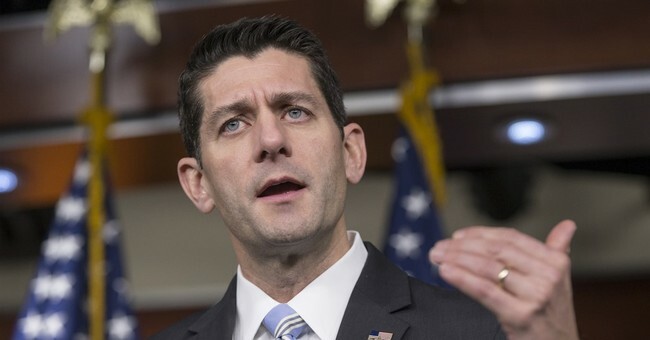 Ryan has promised to "wipe the slate" clean in 2016 after years of a legislative process run amok. That means a return to “regular order,” especially on spending issues. That means no grand bargains with the president (whoever that may be); no more “cromnibus” bills – the dreaded long-term omnibus spending combined with short-term continuing resolutions – to fund the government. And, depending on who wins the White House, regular order in the House and Senate may be our last, best defense of liberty against statism and an imperial bureaucracy. On the Senate side, even “Mr. Establishment” himself – Senate Majority Leader Mitch McConnell – promised much of the same: an end to business-as-usual. Many political observers believe that in his quest to hold on to the Republican majority this November, McConnell’s commitment to pursue the regular spending process may be his most powerful weapon to convince conservatives (who are fed up with Washington) that Republicans have been properly chastened. Political outcomes matter, but political process matters, too. In fact, process matters more in the long run. President Obama, Harry Reid, and the Republican establishment have abused the legislative process to the point of threatening the republic and our liberty. The good news is that Republican leadership has “seen the light” and is dedicated to restoring the process, and thus—perhaps—repairing some of the damage done to our liberty over the last seven years. Then again, Congress is still made up of politicians so we’ll know if Speaker Ryan is serious about his pledge only after he and McConnell actually get it done. And, we’ll know soon. The new year is barely a month old, and already there is a serious threat to Paul Ryan’s pledge to get our legislative process back to regular order. Senator Claire McCaskill has submitted a boondoggle, spending bill to Congress. The Missouri Democrat is pushing to get the measure adopted by the Senate through unanimous consent thereby preventing any hearings, markups, or any critical evaluation of the measure. Here are the bullet-points of McCaskill’s bill: the proposal would upend a plan to clean up the West Lake Landfill, located in St. Louis. After a decade of study, the Environmental Protection Agency (EPA) announced that the existing landowners would cover all the costs of the clean-up which would be completed by year’s end. However, McCaskill’s looney idea is to undo this agreement by compelling more study (because she wants the EPA to study the site for another ten years?). The senator wants the project to be conducted by the Army Corp of Engineers, not private sector contractors. And just like a liberal Democrat, McCaskill would shift all costs of the project to the American taxpayer to the tune of over $400 million. If the Senate passes the McCaskill bill, Rep. Ann Wagner (R-MO) is seeking to have the same bill voted on in the House without hearings, markups, or any open process that might call attention to the bill’s failings and costs. Ms. Wagner—a Republican incumbent—is challenging Speaker Ryan’s commitment to restoring regular order. Under regular order, the McCaskill/Wagner bill would go through the process from committee to the floor. The legislation would be vetted, debated, and amended before receiving a final up-or-down vote.